What do we really mean by "talent" assessment? Depending on where you come from, "talent" may not mean the same thing. In the realm of "talent management", there's a tendency to associate the word "talent" with behaviors, experience, skills, knowledge and maybe even job performance. As far as I know, talent, behaviors, skills, experience, knowledge and job performance are not synonyms. So why using them or combining them and expecting to make a new meaning for the word "talent"? This is a grave misconception that will inevitably lead to misunderstandings among the different concepts and the outcome - the job performance. Confucius said, "when words lose their meaning, people lose their freedom". In our case, when words lose their meaning, people are stupidly classified based on oversimplistic clichés, etiquettes, boxes, and their rights to be considered as complexed beings able to change and evolve is limited. 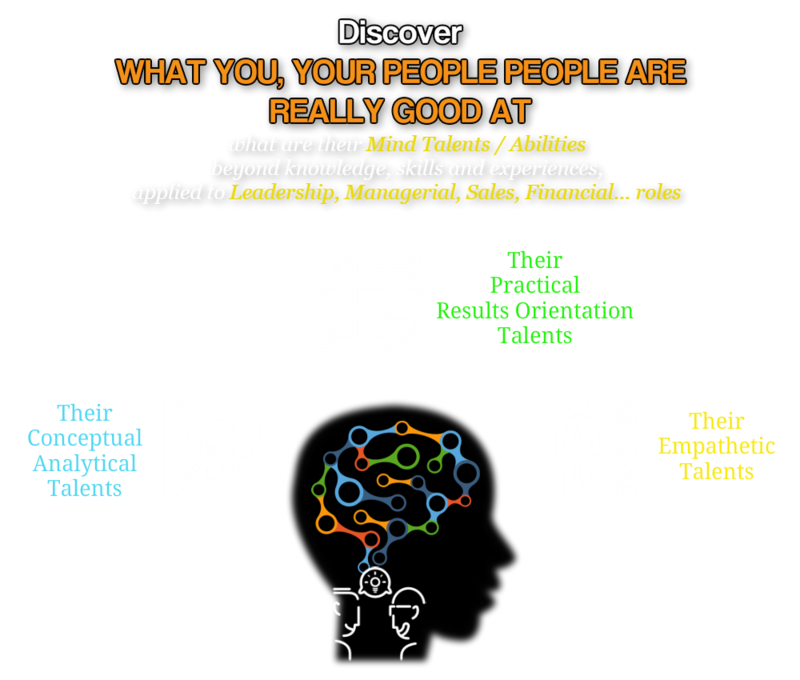 To make short a long demonstration - I wrote a series of 3 articles "The real nature of talent" on LinkedIn and should be also in the articles section: a Talent is a Mind Ability. Said in another way the decisions we make - that lead to specific outcomes- are mind abilities. And it comes to no surprise that we all have different mind abilities or mind patterns. The three decisional styles are the personal, the practical, and the analytical. The "personal style" is related to the way we see, consider people, and so empathetic talents, and so related to emotional intelligence. The "practical style" is related to "how to make, to do this happen for real" way of thinking. The "analytical style" is related to the talents that deal with abstract concepts, theories. And very often, people are really good, developed in one or two styles only. This means that they have blind spots in the other styles. Of course, to some extent, we are all able to make decisions in the 3 different dimensions. The reality is that when we are on the "battlefield" of the everyday work life, work tasks, and work roles we tend to operate on what comes to mind first! And what comes to mind first is what our mind abilities provide. Period! Honestly, we wouldn't really care about all this if we had unlimited time, resources and money, but... you know like me it's not the case! Of course, depending on the purpose we have specific leadership, management, general employment, emotional and social intelligence, or role specific assessments.